Aquafina has a new line of flavored sparkling waters and they are giving out free bottles of this water to entice people to try it. 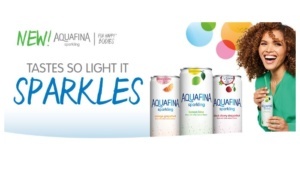 Aquafina is a very popular water brand that is owned by Pepsi and expanding to sparkling waters seems to make good sense. I can’t wait to try one of these great sparkling waters to see how good they actually are.